Suits have been on trend for a couple of season’s now. 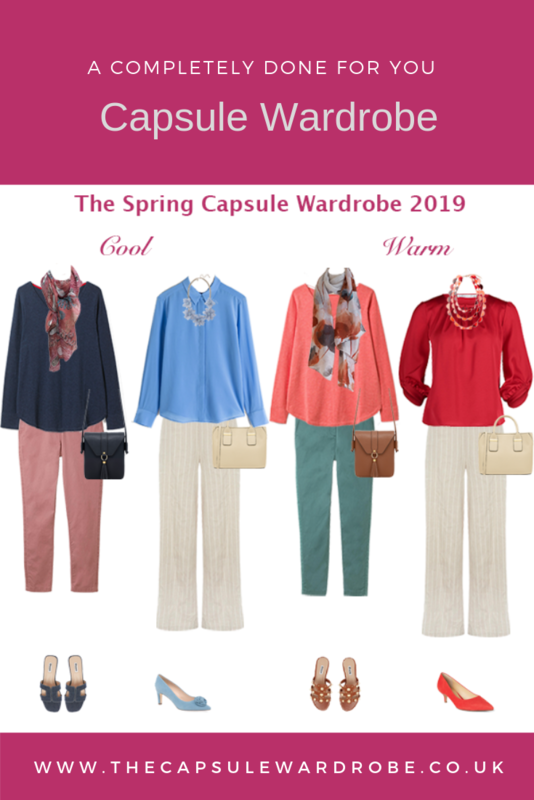 We’ve seen tweeds and Prince of Wales checks for the Winter and now for Spring the seasonal trend Crayola suits is everywhere from budget to designer. 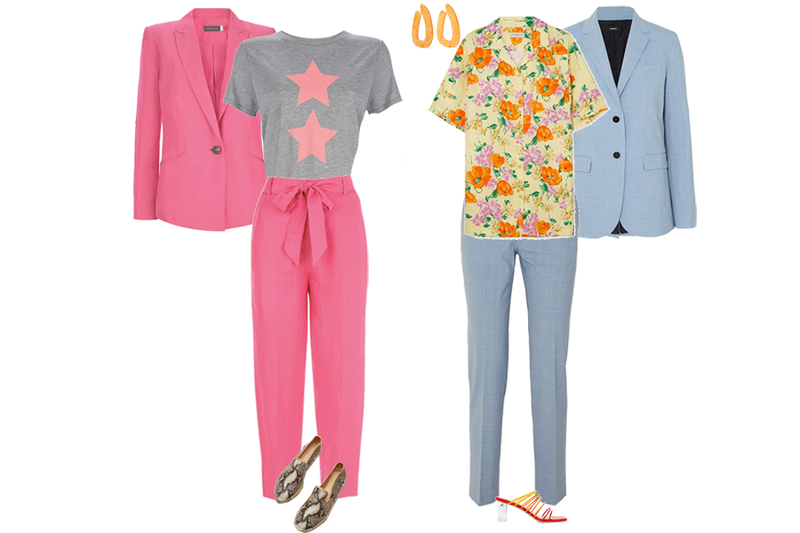 These suits bring a much needed dose of Spring colour into our wardrobes. What’s new about these suits? Well to start with, most of them have oversized jackets. Rather than wearing them to the office, they are dressed down, often with a T-shirt. If you are brave enough you can also wear them with a clashing colour. I’ve picked 4 suits at varying budgets and given you some styling ideas. 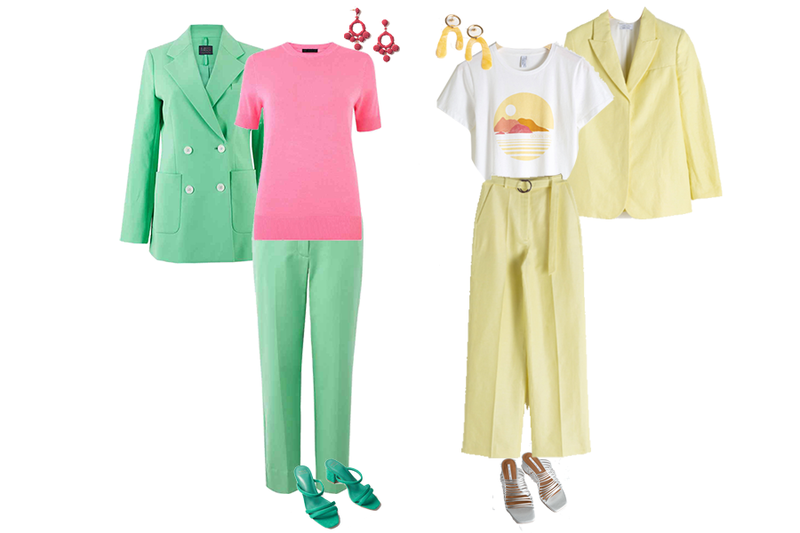 A great budget version, this green suit looks fabulous paired with pink – forget about pink and green should never be seen! But if it’s too much for you, add a neutral like cream or a light grey. The mid range budget yellow suit would be gorgeous dressed up with a silk top for a Summer event. But here I have relaxed it with a T-shirt. This bright pink suit paired with a light grey would look gorgeous on Light, Bright or Cool colouring. 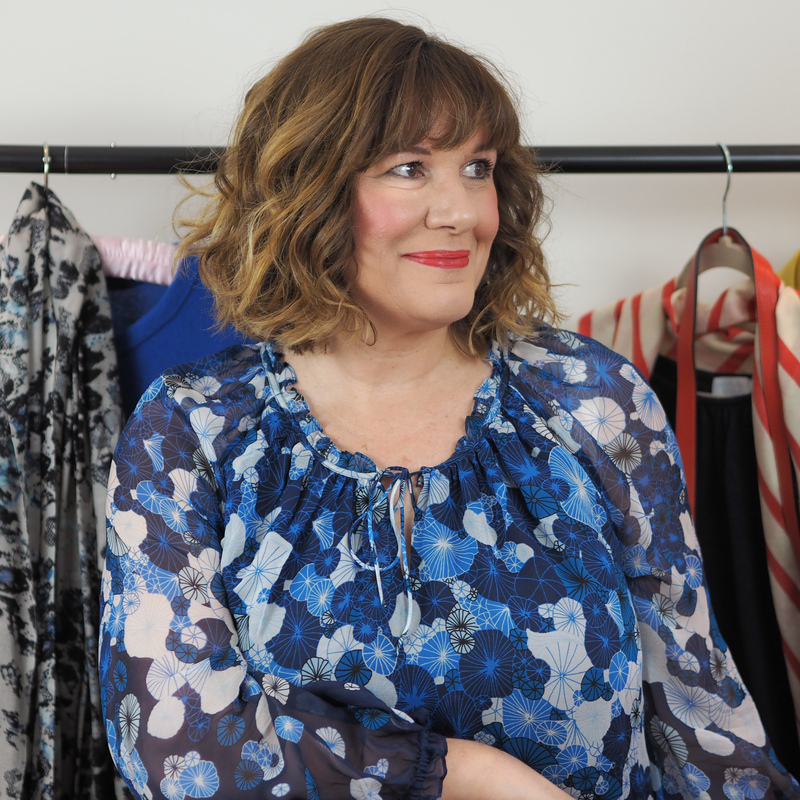 I’ve dressed it down with espadrilles and a T-shirt, but wear it with heels and a strappy top for an evening out. 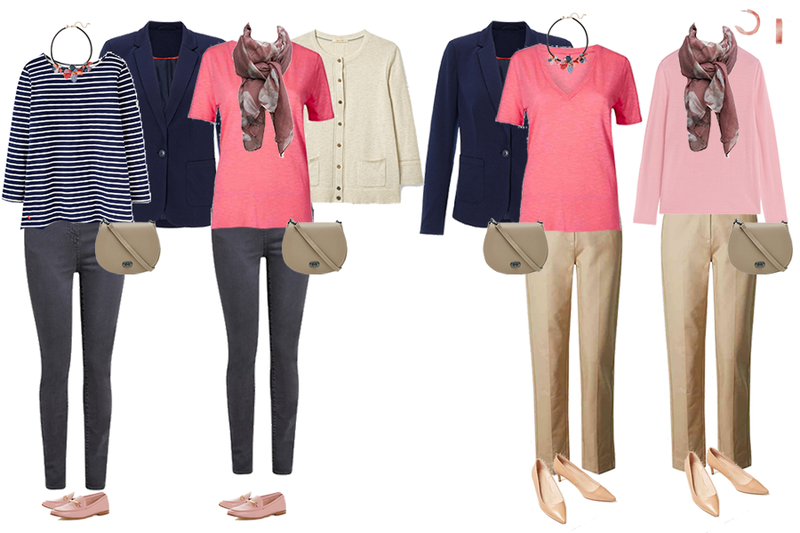 The designer suit on the right would be sober paired with a pastel top, but I’ve added some clashing colours in the top and shoes for a more dramatic look. Will you be trying one of these new suits? 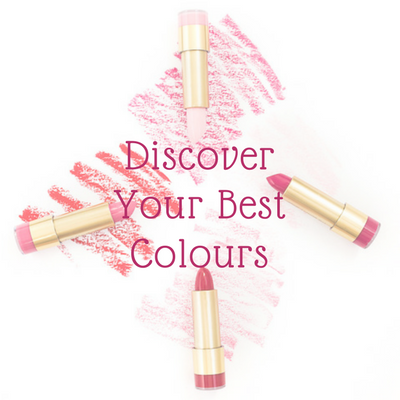 Will you be brave and wear some colour clash or will you tone it down? 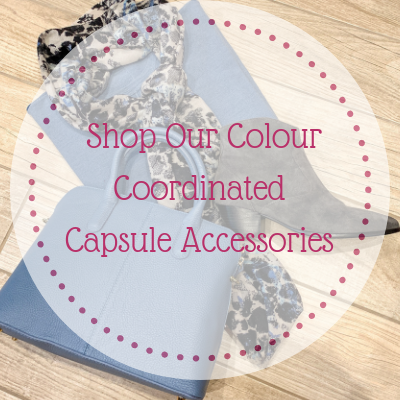 If you want to know which colours are right for you, check out my Colour Dossier Service. 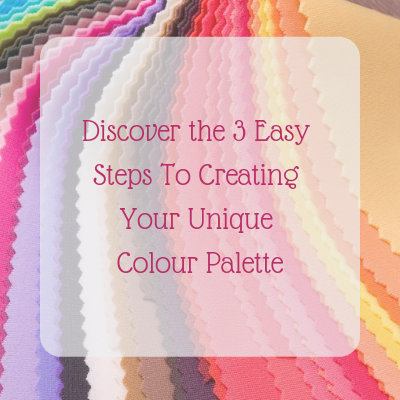 Or watch my Colour Webinar to learn how to create a colour palette to suit you.